Tony McCall's teaching and research interests are in regional development policy, Australian and Tasmanian politics. He holds a range of advisory positions for local governments in Tasmania and Tasmanian government economic development departments. He is a consultant to agri-food producers, local governments and regional economic development groups, with a particular interest in the development and application of collaborative business models in small, sub-national peripheral economies. 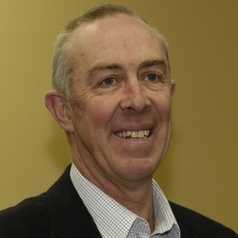 He is regular comentator on Tasmanian politics and writes a fortnightly column for the Examiner newspaper in Tasmania. His recent publications include: 'Transitions in Regional Development Policy: Comparative to Competitive Advantage' in Susan Kinnear et al (editors) Regional Advantage and Innovation: Achieving Australia's National Outcomes, Springer Publications, 2013 and 'Tasmania' in Marian Simms and John Wanna (editors), Julia 2010, the caretaker election, ANU E Press, 2012.